Understanding how Boolean searches work is an important step in developing a best-in-class sourcing strategy and becoming a true talent advisor. Because a good Boolean search helps you cut through thousands of profiles to quickly find the best candidates for your open job. But, while using Boolean operators may seem simple in theory, the truth is that building complex search strings takes some practice — and a little help. Which is why we’ve put together this guide for recruiters on how to use Boolean operators the right way and leverage them to build smart, efficient Boolean searches. We’ll dive into some of the deeper elements of successful Boolean searches in a moment, but to really get the most out of your searches, you need to start with the basics. That’s why having a deep knowledge of these six operators is so important — they help you “wow” hiring managers in the best way possible. Using the AND modifier makes it so that the terms “software engineer,” “java,” and “Python” all need to be present on someone’s profile for them to show up in my search results. (I’ll show you how to get more specific and only search for “software engineer” as a job title later on in this post). The AND modifier will always narrow down your search results because it adds more requirements to the search. That’s why it’s great for taking a large number of candidates and drilling down to the ones who best meet your job requirements. The OR modifier does the exact opposite of AND — instead of narrowing down search results, it expands them. Again, I’ll show you how to target Boolean operators to specific fields on a candidate’s profile later on in this post. But, in the meantime, just remember: NOT wipes your searches clean of candidates with a specific word or phrase included on their profile. You’ve probably noticed I’ve already used parentheses a couple different times in my examples above for the other Boolean operators. That’s because parentheses are a critical piece of building Boolean searches that actually deliver high-quality results. Remember in middle school when your math teacher taught you about the order of operations (aka PEMDAS)? The first rule is that anything happening within parentheses gets solved before everything else. And that’s exactly how it works with Boolean searches, too. I’ll admit, parentheses are the hardest Boolean operator to wrap your head around, so definitely practice by placing them in different parts of your search and checking out the results you get back. This one is super simple: you may have noticed I put quotes around any multi-word phrases in my searches above. That’s because quotation marks help SeekOut identify exact phrases on candidate profiles. If I hadn’t used quotes around “account executive,” for example, the search would bring up any profiles that had both “account” and “executive” included anywhere on the profile — not necessarily the phrase “account executive” together. Finally, there’s the asterisk — every recruiter’s best friend when it comes to building broad-reaching Boolean searches. Placing an asterisk after a word (it won’t work with a phrase) acts as a placeholder of sorts for any and all terms that contain that word. For example, searching for micro* would bring up any profiles that include Microsoft, microscope, microbiology, etc. As an added bonus, try using the “?” at the end of a word, too. Question marks act as a “wild card” of sorts, but instead of finishing a word with multiple letters, the “?” will limit the variations to just one letter. So, stor? would deliver results for story, stork, storm, etc. It’s worth noting that both the asterisk and question mark do not work on LinkedIn. Furthermore, as mentioned in LinkedIn’s Help Center, Boolean operators only work in LinkedIn’s keyword search field. That means that unlike SeekOut, LinkedIn limits users to Boolean searches that scan a candidate’s entire profile rather than in specific fields like their job title or company. 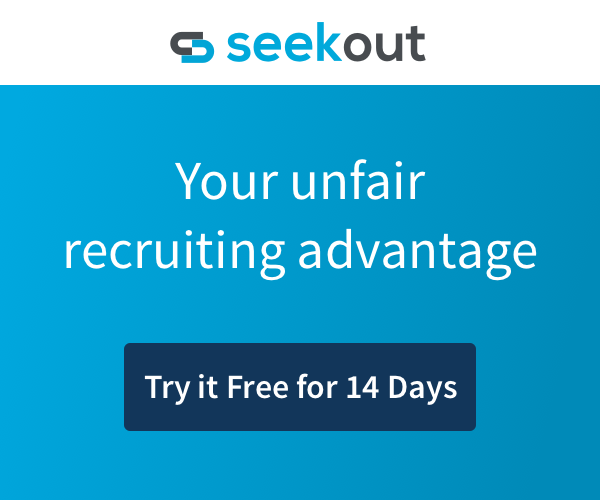 And that’s why SeekOut can give such a leg-up to recruiter’s with a good understanding of Boolean searches — you can get very specific and really narrow your results to the best possible candidates. Here’s how. Becoming a Boolean search master doesn’t require you to go through a special course or put in years of focused apprenticeship. Frankly, recruiters often make a bigger deal out of creating successful Boolean strings than is necessary. Once you’ve mastered the basics outlined above (which you can probably do in a couple hours), building complex Boolean searches is a matter of 1) using the right platform; and 2) weaving a few extra Boolean operators into your sourcing strategy. I’m going to walk you through those additional operators now, but before I do, it’s important to note that LinkedIn does not support the advanced Boolean searches I’m describing. Rather than running broad searches that scan for keywords across a candidate’s entire profile, SeekOut allows you to conduct Boolean searches within specific fields like their job title, current company, or skills. You can see that I limited my search of “software engineer” just to the “current title” field and made sure I was searching for “java” and “Python” within the “skills” field specifically. That way, I’ll likely have fewer results, but can trust that the candidates who do come through will be high-quality. You can find a full list of all 27 fields SeekOut supports for Boolean searches here. Proximity searches help you search for keywords that might be near each other, but not directly next to one another (meaning you cannot use the quotes to find them). If I was searching for a “senior engineer” and just plugged that directly into the search, I’d miss out on anyone who had a word — maybe “software” or “electrical” — in between them. Instead, searching for “senior engineer”~2 means I’ll pull up any results where “senior” and “engineer” are within two words of each other. The tilde will also help me find slight variations or misspellings for keywords, too — a useful feature considering many top candidates intentionally skew the spelling of their job title to avoid hearing from 80+ recruiters each week. With this guide, you have everything you need to save time and become more efficient in your work. But, building Boolean searches takes time. And if you’re constantly recreating the wheel by building the same searches over and over again, you’re losing out on all that efficiency. Time to take what you learned and put it into practice. With these Boolean search strategies, you’ll quickly be able to scan through the 100 million+ profiles on SeekOut to find the talent your company is looking for. And if you don’t have the time to learn Boolean, there’s good news — SeekOut also has an incredibly intuitive point-and-click interface that anyone can quickly master. Check out SeekOut.io to learn more and request your 14-day free trial.